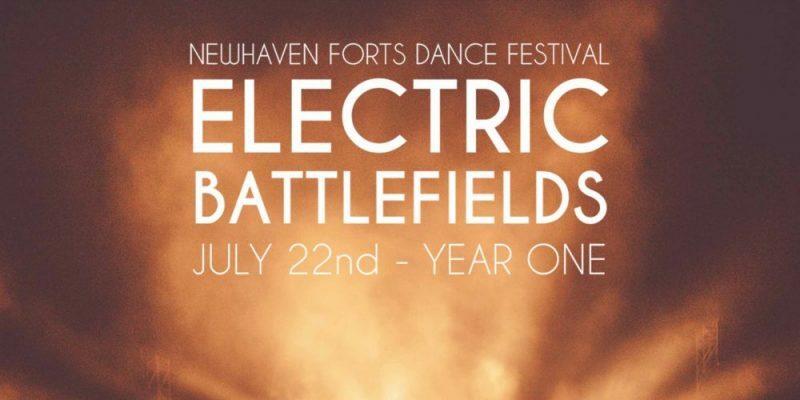 Electric Battlefields – The brand new Dance & Electronic Music Festival launching at The Newhaven Fort on the 22nd July. The historic battle Fort will play host to the most exciting new music acts in the genre with a finale of some of the most respected DJs in the UK. The unique landmark will provide a never before seen backdrop to what will be a must attend boutique music festival. Electric Battlefields Festival, aptly named after the Fort’s history, will play host to a new and exciting Dance Festival in one of the most unique settings. The Victorian Fort will be bought to life with light and sound whilst festival goers dance amongst old WW2 cannons on the parade ground surrounded by the impenetrable Fort Wall. Electric Battlefields will celebrate the best in new music from electronic artistes including the hotly tipped Mollie Collins and 1991, both of which are playing festivals up and down the country. Keen to showcase the best in new music, Electric Battlefields have partnered with ACM (The Academy Of Contemporary Music) and Brighton dance record label Nightshift Records. Headlining this perfect blend of new Producers, DJs and Live Electronic Music Acts is Brighton Superstar, Drum & Bass Legend and BBC Radio 1 host Friction. Friction is one of the most relentless and respected DJ / Producers in the world, deemed by Pete Tong himself as ‘one of the big dogs’. Electric Battlefields is the first in a series of festivals raising the profile for the Newhaven Fort. The venture into creating new and exciting events within the historical landmark will bring a brand new audience to enjoy The Fort in new and exciting ways. Electric Battlefields will be filled with up to 900 Electronic and Dance Music fans from all around East Sussex, most of whom will have never heard of The Newhaven Fort before. It’s a great opportunity to create some of the best boutique music festivals in the South East, making what will hopefully be the must attend festivals in years to come. Head to the Electric Battlefields Website for info & tickets. Find & follow the Festival on Facebook, Twitter & Instagram to stay in the loop.